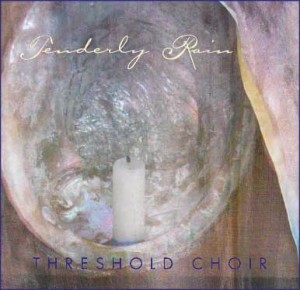 Solution: Tenderly Rain CD cover for a collection of songs to be learned and sung at the bedsides of the dying and infirmed. 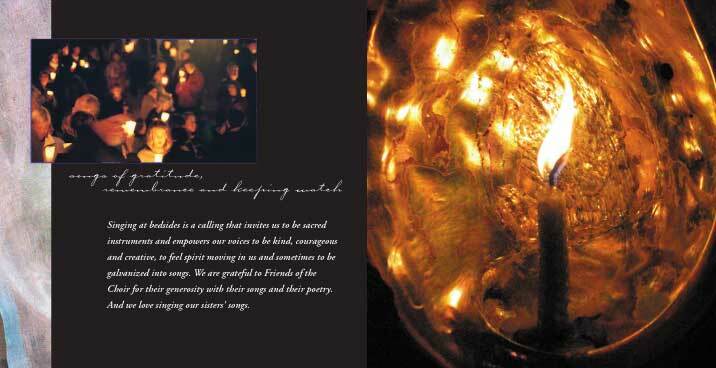 Graphics communicate peacefulness and reverence. Recyclable paper, fold-out cover.